Systemic hyalinosis is a rare, multisystem, progressive, autosomal recessive disorder of connective tissue characterized by diffuse hyaline deposition in the skin, bone or viscera. Owing to its rarity and initial manifestations that resemble arthrogryposis congenital multiplexa, correct diagnosis can be elusive and often delayed. 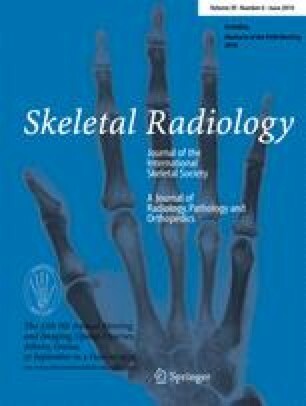 We present the computed tomography (CT) and whole-body (WB) magnetic resonance (MR) findings in two unrelated children with systemic hyalinosis who came to medical attention because of multiple joint contractures and limitation of motion in early infancy.